This product has been temporarily removed from our catalogue as we currently have no stock and do not have an estimated date for when it will become available! We apologise for the inconvenience. Please check again at a later date. Thank you very much for your efficient service. I am really impressed and appreciated. Looking forward to purchasing more items from your shop and talking to you soon. I have received my goods today, many thanks for the quick service. Rockstars! Love the service and the support. Megabuy is my 'go to' site for my technology needs - competitive prices, excellent customer service and fast, reliable delivery. my experience in ordering and receiving through megaBuy was great, quick and easy, quality product well shipped to my door. Ordered Monday, Received it Wednesday (I'm in W.A.) Everything in good shape. Exactly what I ordered and it all works perfectly. Thanks for the great service, order was received in super quick time. Very satisfied with service. Would have taken me longer to go to shops. Just sit on my bum, do the order, watch a series on Netflix and it's arrived. Items very competitively priced. Felt I was dealing with a reputable site. Megabuy pricing was very competitive, delivery was extremely rapid, item was in as new condition, am a very satisfied customer. As a first-time customer I ordered a keyboard and mouse. Both were dispatched and delivered to me here in Melbourne a lot faster than I expected. Prompt service and delivery. Am disappointed delivery driver did not call to confirm someone was home before leaving parcel unattended. Ordering is easy and pricing is always very competitive. Delivery is timely and includes options for the delivery to be left if necessary. Great price & fast delivery! The order was placed on 13th and delivered within 4 days!! And I live in the country!! Very Happy with service! Very competitive price (best I could find), excellent service with followup information regarding progress of the order resulting in very prompt delivery. If it's in stock at Megabuy; it's on its way to you within a day. You can't beat that. If it's not in stock you can call and be given an indication and they've never been wrong. Great. The items available are all competitively priced, in some cases much cheaper than other online suppliers. Items are securely packed and distributed and delivered very quickly. Love dealing with Megabuy. Great pricing on Samsung Tab S3 cover with keyboards, staff very helpful and delivery was faster than expected. Thank you! Enjoyed some excellent customer service and a good price. Had a workstation rebuilt. Excellent help from the staff at the Chermside store. I found what i was looking for at a reasonable price. Easy to use website, great value and speedy delivery, 12 months warranty. Great stuff! Ordered over Easter, info was clear that processing would not occur till next business day. Confirmed and despatched quickly, arrived within the week. The prices are extremely competitive with plenty of choice for what I required. The order was actioned immediately and dispatched very quickly, with status updates along the way. Very pleased with the whole process! Prices are very competitive.Order was recieved ahead of their proposed time but unfotunately product was dead on arrival.Now awaiting a RA number so I can send item back for replacement. Order only took a few days to arrive.shipping rates were very reasonable as was the price of the item.Emails sent to advise me of my order status. Will use again. Easy to order online, cheapest price, and items were delivered as described within 48 hours. And communication with customer re the status of order/delivery was excellent. What's not to love? Competitive pricing and prompt postage and delivery. Very pleasant experience. Always happy with the prices and I have been buying from Megabuy for a while now. The products have always arrived very quickly and always happy with the products. Always happy with the prices and I have been buying from Megabuys for a while now. The products have always arrived very quickly and always happy with the products. I have been buying my computer disposables from Megabuy for some years now and I cannot fault there efficient service and their competitive prices. I will continue to patronise this business. Keep up the good work. I have used Megabuy over the last few years. I buy computer related items from time to time. I found you could either not get, or not get at a competitive price, specific items that I wanted from physical stores. Trying online warehouses was an uncertain experience at first but I have found Megabuy to be excellent. Delivery is very quick. Sometimes I have a tracking number and sometimes I don't. It would be good to have a more specific delivery time as I no longer have an office to send goods to, and can't sit at home waiting for it. Prices almost always lower than elsewhere. Website is a bit hard to navigate, to identify range and find products. Great prices and fast shipping. I will recommend the site with others. Well done guys. Will be buying from this site soon again. I think that the Service, response times and order process efficiency are all excellent. There is only one issue that I believe needs improvement. I think that the order/delivery tracking is a little open ended and could be improved. Every purchase from Megabuy has been competitively priced and delivered promptly. Great range of products including consumables for older printers. Bought some DH for my new NAS. The price was good, ordering and payment easy. The goods arrived only a few days later. Happy! Good range of reco 4:3 monitors, which I needed for specific application, works well, good price and efficient delivery. Prices were equal or better, including delivery costs, than other suppliers. Order arrived very promptly, quicker than many other on-line purchases. No need to exchange or refund because goods are what I ordered arriving in great condition and packaged well. Very competitive price on the products I ordered, intuitive website and sales process, super fast delivery AND good follow up service. Based on this experience, I couldn't recommend Megabuy more highly. Not only did Megabuy have the best price, their communications and delivery times are excellent. My second buy from them and I will keep coming back:). They had the cheapest price for the part I wanted and it arrived the day after I ordered it instead of the 3 it stated. Amazing choice of modems and great reviews that helped with my purchase. Once ordered the shipping was super fast. Fantastic service!! Their price was the near the lowest for the item I was looking for. It was dispatched very promptly, it seemed there was no delay. I haven't need to return any item I have purchased from them to this point, so can't comment on their exchange/refund/warranty process. Just to put it simply, fantastic service right across the board but there was one hiccup-i could not print out my invoice, as it was in a different format ie: would not fit on A4 sheet regardless of what i tried. Old HDD stopped working. The staff recovered a word document for me that was super important to me and didn't charge me. Ordered computer cases and components from them in the past with prices on par and sometimes better than Umart and MSY. Great product, quick shipping, great price. Very happy with my experience. I was informed all the way through the process on progress with my delivery. Always happy to deal with Megabuy. Having purchased through them before and without any hassle I will continue to enjoy their service. Good price and super fast delivery. It couldn't have been better! Friendly Professional Staff, great service and quick delivery. The Ram i bought arrived fast and worked perfectly. Very happy! Prompt delivery and a very competitive price with a streamlined process. I knew the product I was after, their price was good, checkout process was straightforward and delivery occurred a few days later. What more could you ask for? The item I ordered was in stock as advertised and delivery was very good considering I live some considerable distance from Brisbane. The printer was as described and was delivered in perfect condition. Excellent service. Fast delivery. Will definitely use this site again. Great customer service. Bought an used computer monitor. Works like a treat. Good product for a fraction of original's cost. I came upon the Megabuy website through a search engine, whilst negotiating with a supplier who had deleted a printer from our order and said they will not supply any more. The printer it turned out was still available from their Melbourne branch but delivery would take a while and there would be an additional delivery charge. The same printer was available from Megabuy, and the landed price including freight was cheaper than the original supplier. So I ordered it, and it arrived a few days later. Next time, I will go to Megabuy first. Had a great range of products and I found exactly what I was after. Found it easy to purchase and fast shipping. Overall very satisfied. Thankyou. The printer arrived very quickly and it was the best price, email communication was good. The whole experience lined up to give me confidence. The price was very good and the delivery time was also very prompt and so far the item purchased is working very well. I've used Megabuy for a synology 2-disk NAS (2012) and synology wifi router (2018). The service was prompt and efficient. In fact, the range is a bit overwhelming! Megabuy have become my goto place for IC&T stuff. Easy to use website/shop, very helpful staff. MegaBuy had the best online price in Australia. My Thunderbolt 3 hub came within 48 hours of ordering it. I will definitely be back! I find it easy to navigate your website. The product was exactly what I asked for. I received emails as the process progressed. Found what I was looking for easily, and then it was delivered faster than anything I've ever ordered from anywhere else. It was easy to find the items I wanted and all were available online. The items were in excellent condition when received within a few days of ordering. I received an email to say that 1 item wasn't immediately available and the staff member who answered my phone call was very helpful and the item was delivered the day after the rest of the order. Great service. Always easy and fast buying through Megabuy, the staff are communicative and friendly. and the products also are great quality. Navigating store very easy, Great that there was a good range of products and was happy with what I purchased. Good prices, fast shipping times. Been using Megabuy for years. Even if they are slightly more expensive, and they are cheaper 99% of the time, I go with them. Some of the more esoteric stuff I want and they don't have is usually not anywhere in AU and I have to source from the US. No biggie, Megabuy's selection is huge. And has all the stuff I need fast. If stuff breaks within warranty their RMA process actually works (and there are plenty of others where it does not ...). I easily found the exact item I was searching for and noted that it was in stock. Ordering and paying was easy. After sale communication regarding picking, packing and delivery was good and the item was received in the timeframe advised online. Very easy purchasing process, with a wide choice of payment options. With the best price I could find, & with excellent delivery service & speed. Was looking for a product, found it on Megabuy. Loved how it has stock on hand guide, found the price to be better then a competitor. Once ordered i was kept up todate with the process and knowing exactly when the order was arriving. Very impressed with the brand. Very happy with the process and goods supplied. Supplier Kept in touch until delivery. Excellent product and would recommend to deal with this supplier. no probs with my cpu clocking to 4.5 ghz might need more volts but this reduces longevity...very good cpu in aaa games. The Web page was easy to navigate. The Laptop I purchased arrived promptly and was in excellent condition. Thank you! Ordering was easy, the price was right, and my stuff was delivered with admirable promptness. Online buying was very simple. Product range is great. Dont know about the quality as yet as is a xmas present but im sure it will be excellent. I arranged to have the item delivered to the Chermside store & pick it up from there. Worked well. I'd suggest making this delivery method a standard option for delivery. Best price on Brother MFC Laser printer, delivered for less than I could by it any where else. Same for LG 24" monitor, Best price I could find. I often use these guys for my computer repair service. Staff are always friendly and helpful! Have purchased several times. Faultless service every time. Easy to find products in store, refurbished items clearly marked and good value, mine had no wear marks and battery seemed new. Easy and sweet to order the product, fast delivery, good price. Have regularly purchased products from Megabuy. Would recommend to others. Easy to deal with them, found what I needed easily in the store. I did have a warranty job, as it partly wasn't working. They did palm me off to the manufacturer instead, although this worked out fine as they are even easier to deal with. I found it easily on the site - the price was right; purchasing was easy and I had it at home in no time. Fantastic service from the team at MegaBuy. Our order was turned around very quickly along with great communication throughout the process. Recommended. Easy to navigate the website, great range, and simple fast processing. Megabuy had the best price I could find online. listed as best price on shopbot, easily directed to megabuy store and easily navigated and reasonable freight. The sales staff where very helpful and the web site was ok. They where able to put together two large storage servers to my specification and deliver them in a very short time frame. The servers are now performing above my expectations. Great pricing and quick with online purchases. Fast delivery and great prices! I ordered 2 computer parts in consecutive days. Both arrived in 3 days in great condition. Very satisfied customer. 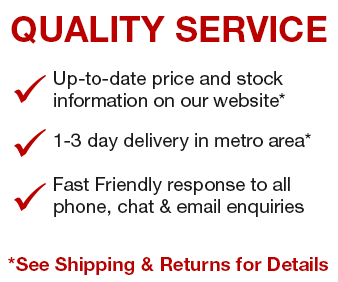 As the leading online computer store in Brisbane, Queensland, MegaBuy is your one stop online computer shop.